Mr. Charlese B. Coffey Jr.
Mr Coffey earned Master's of Arts (MA) Degree in Educational Administration and Supervision from the University of Liberia ( U L ) in December 2017. In December 2012 Mr Coffey also earned Master's of Arts Degree ( MA ) in International Relations from the Abrahim Badamasi Babangida Graduate School of International Studies (IBB) of the University of Liberia (U L). In April 2009 Mr Coffey earned Bachelor's of Arts Degree (BA) from the University of Liberia. He also obtained several certificates and diplomats in broadcast journalism and other media related areas from local and international journalism institutions, some in china. 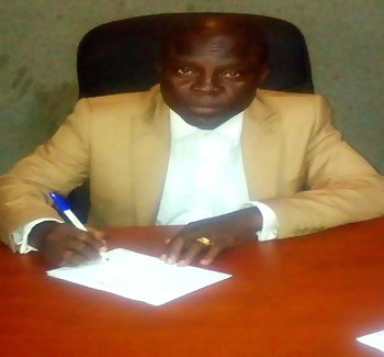 Mr. Coffey is currently the president of the Press Union of Liberia (PUL) and a lecturer of Communications at the state owned university of Liberia and United Methodist University on Ashnum Street. He is a Christian and is happily married to Josephine Fahnbulleh Coffey and union is blessed with two daughters: Charlesphine Addy Coffey and Lovetta H. Coffey.